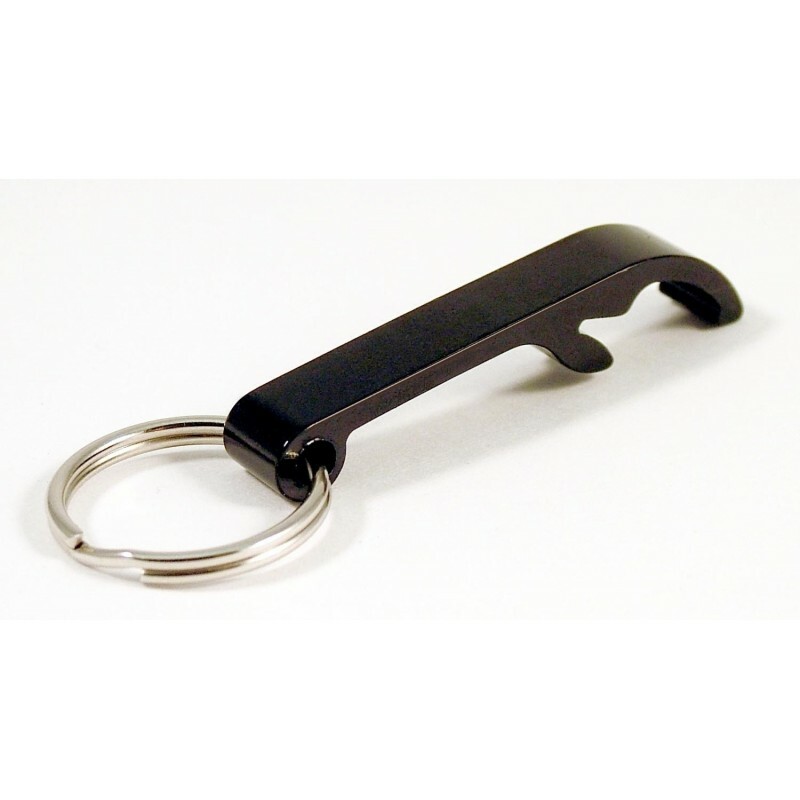 Black aluminum bottle opener with 7/8” split ring. Small and sleek, fits easily into pocket without adding bulk. Opens bottles and aluminum can tabs.